The Peak Of All Round Performance. The all new HT2.5 (Holy Toledo 2.5) Still maintaining its design towards everyday conditions, only with added spark! After a request from Filipe to make the HT2 go as fast as possible, Marcio got to work. There have been a few minor tweaks throughout the model with the biggest being in the tail. A small channel has been added just behind the back fin. This channel has created three major enhancements, speed - bite - drive. When surfing off the back foot there will be a considerable amount of squirt and drive without sacrificing any grip. Exactly what Filipe wanted & noticed in the r'n'd stages. 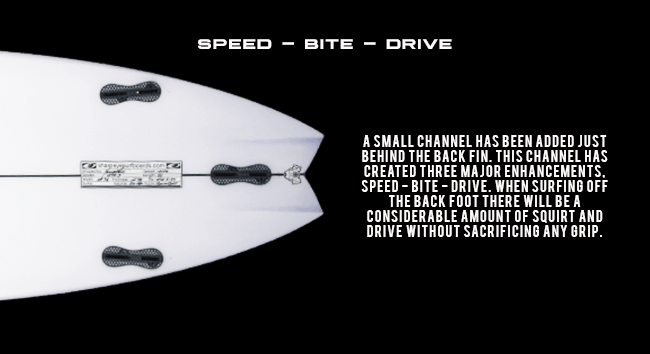 The HT2.5 is now a must have in his quiver after the board being such a crucial part of his incredible 2018 campaign. A familiar feeling with added spice in all conditions, the HT2.5 is the peak off all round performance. Filipe Toledo's HT2.5 from Sharpeye Surfboards on Vimeo.